Cardamom-Scented Pear Crisp is a fantastic fall dessert! Cardamom is a warm spice that is really wonderful with the pears. 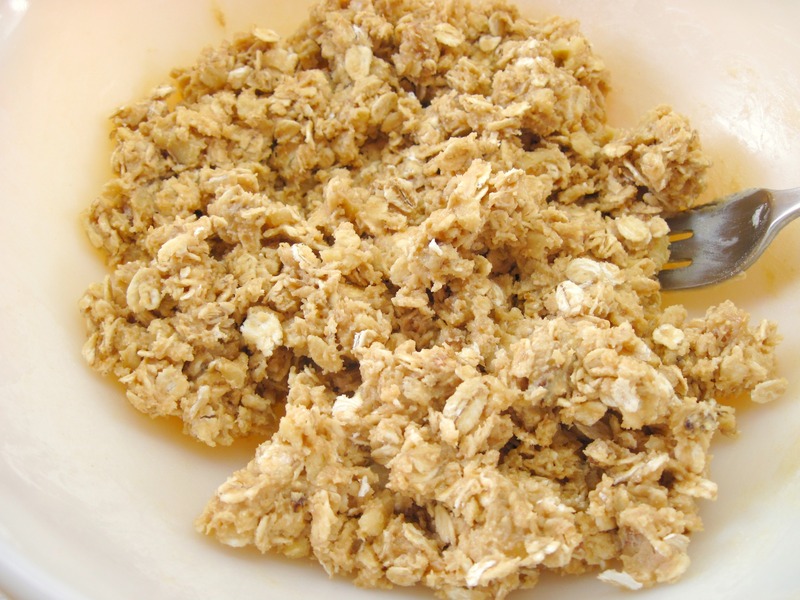 The topping has a modest amount of butter and sugar, making it a lighter crisp than others. The recipe is adapted from a Mark Bittman recipe in The Food Matters Cookbook. He points out that imperfect, not-quite-ripe pears work beautifully in the recipe. 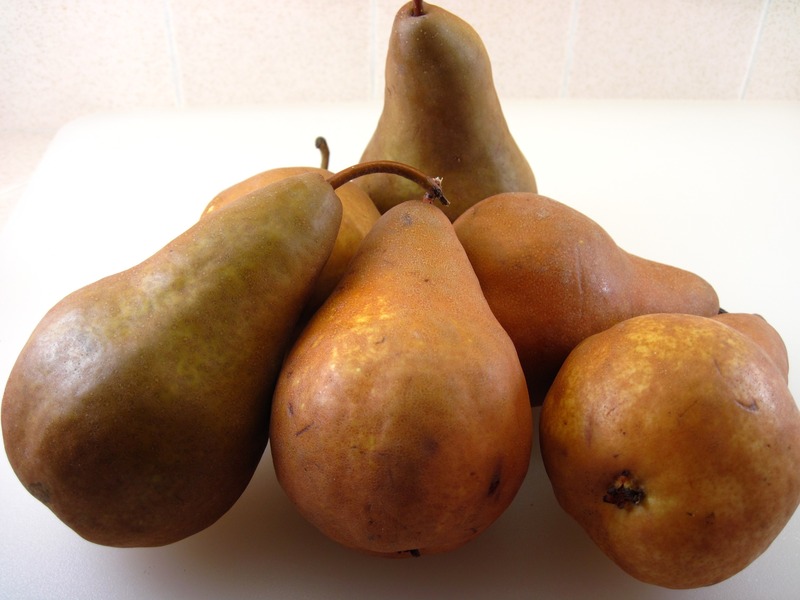 I used Bosc pears which are a great variety for baking. In The Food Matters Cookbook, Bittman presents desserts that feature fruits, whole grains, and a bit less sugar. He calls for whole wheat flour in the Cardamom-Scented Pear Crisp recipe. I used unbleached white flour. Since each serving only has about 1 tablespoon of flour, I think you can use whichever type of flour you prefer. It’s not going to make that much difference in the nutritional makeup of the recipe. Following the recipe’s instructions, I baked the crisp at 400˚ and checked it at 30 minutes. (It said to bake for 30 – 40 minutes.) At 30 minutes the topping was almost starting to burn. I actually had to pick off a few pieces that were a bit too dark. Next time I think I will try lowering the heat to 375˚. The Cardamom-Scented Pear Crisp served 8 people last night and got rave reviews. Topped with just a bit of vanilla ice cream, it was a great dessert! Now I wish I had some leftover for breakfast! Get some pears. Make Cardamom-Scented Pear Crisp! It’s a great way to welcome fall! 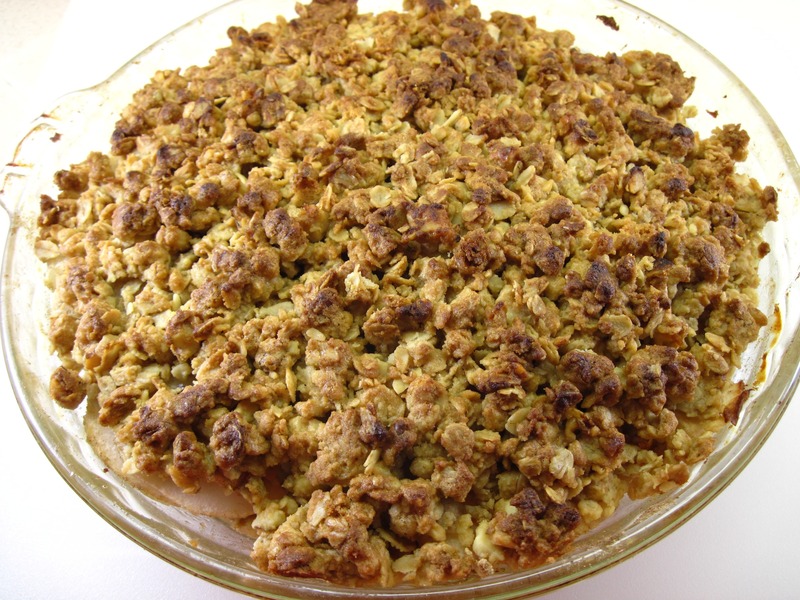 Update 10/13/11: I made the Pear Crisp again yesterday. I baked it at 375˚ for 30 minutes, and it was perfect! 1. Preheat the oven to 375˚. 2. Grease a 10-inch pie plate or an 8- or 9-inch square baking pan with a bit of softened butter. 3. 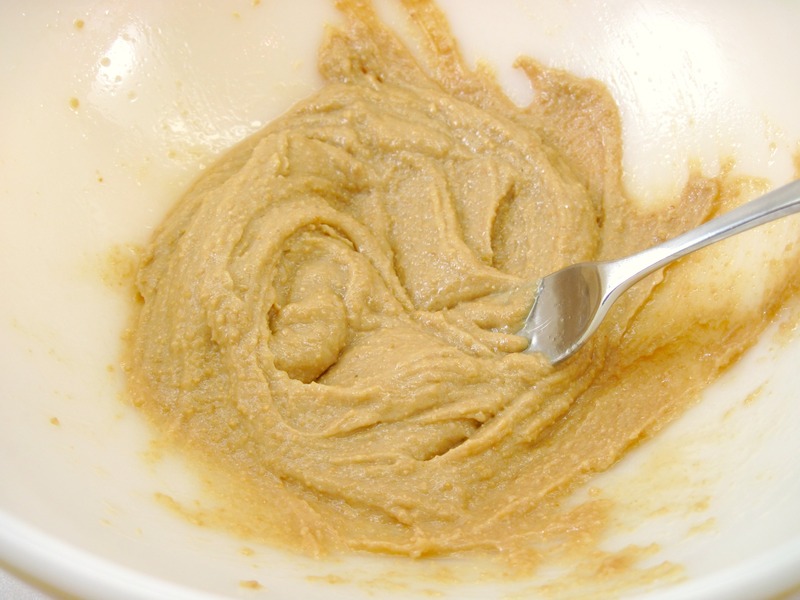 With a fork, cream the ½ stick of butter, oil, and sugar in a bowl. 4. 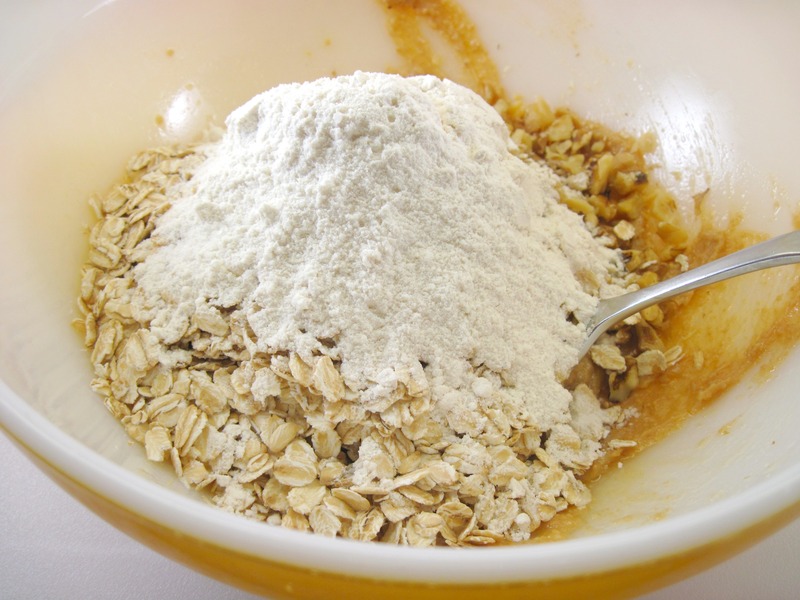 Add the nuts, lemon juice, oats, flour, and salt and mix until well-combined. 5. Peel the pears. Cut them in half lengthwise. Use a spoon to remove the core. 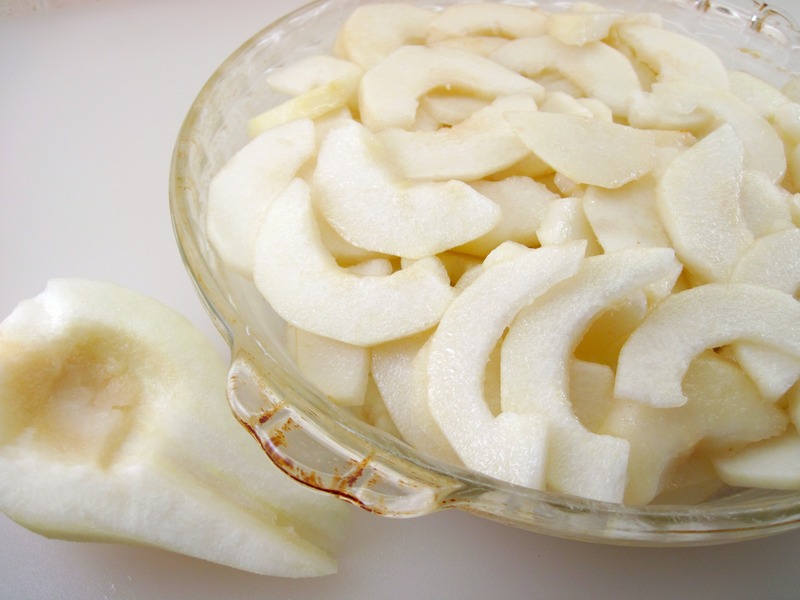 Cut the pears into ¼-inch slices and put them in the prepared pan. 6. Sprinkle the cardamom over the pears and toss well. 7. Crumble the topping over the pears. 8. Bake for about 30 minutes, until the pears are hot, and the topping is just starting to brown. 9. Serve warm, topped with a bit of vanilla ice cream, if desired. That kiss of cardamom sounds so enticing! A friend of mine made me some cardamom bread and I was fascinated, since I had never tasted it before. I will make an effort to get some cardamom and try this one myself! I hope you are having a good day! Mmm…cardamom bread sounds good. Have a happy weekend, Dionne! I have become a huge fan of cardamom so these recipe is definitely appealing! What a wonderful looking crisp. It’s been saved! Thank you! It’s the first time I’ve used cardamom in a dessert. I’m looking forward to trying other things. Ooh, I love crisps for breakfast! And you can’t go wrong with Bittman! I’m ready for fall and crisps and crumbles and everything in between. I need some pears. Hope you have a great weekend. Now’s the time to get great pears! Happy weekend to you, Gina! I love using cardamon in desserts. This pear crisp sounds lovely. I think that pear and cardamon would make a great combination. It really does make a great combination, Beth! I absolutely love cardamom and I have some local pears that I MUST use. oh wow! I’ve never seen pears used like this- I love this idea! I love just about anything with cardamom, and crisps are my favourite dessert. Gorgeous! Thank you, Carolyn! There is something about crisps in the fall, isn’t there? Kath, I am using your adaption of Bittman’s recipe for an adaption for apples. Will let you know how it turns out. (I have pears too that need used so am going to try this straight up from you as well.) I LOVE cardamom! I’m sure it would be equally good with apples. I’d love to hear how it turns out! You had me at cardamom. 🙂 One of my favorite spices. Love this idea, it looks so scrumptious – can’t wait to try it! This looks great! I love cardamom as well. I have never tried or ever had crisp and this looks absolutely yummy! I love the cardamom flavour. 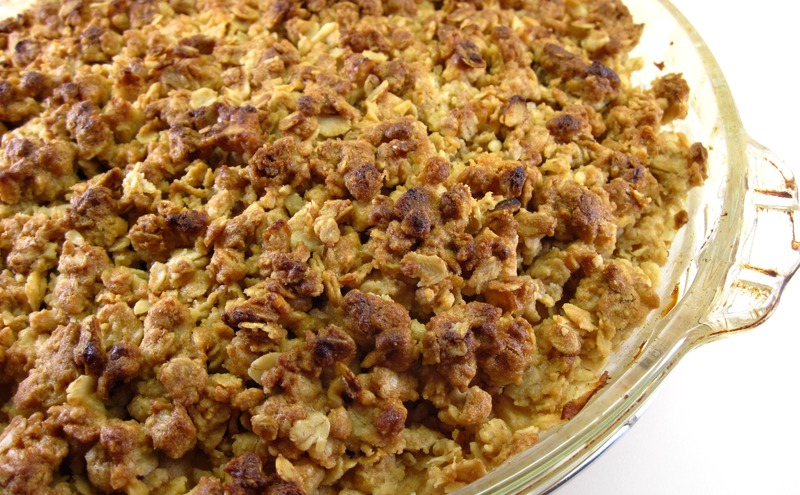 I have always loved apple crisp, but this is the first crisp I’ve ever tried with pears. Crisps are so easy to make. I love them! Congrats on the Top 9! 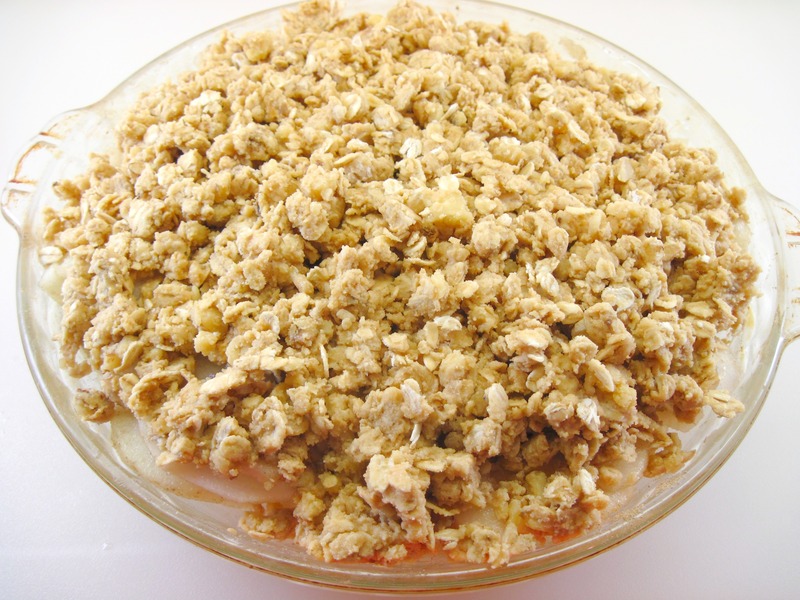 I always make apple crisp, but I now have some pears, so I know what I’m doing with them, pear crisp! Yours is gorgeous. This looks delicious and for someone like me (I’m allergic to cinnamon) it’s perfect! Thanks for a great recipe! Most crisps do have cinnamon in them, don’t they? Try this one, Ann; I think you’ll like it! Kath, I love crisps and this one’s on my list to try for fall. Thank you! Thanks so much for your comment, Jennifer! I appreciate it! Thanks so much! Your adaptation with apples, pears, fresh cardamom, and honey looks fantastic! What a perfect fall dessert. 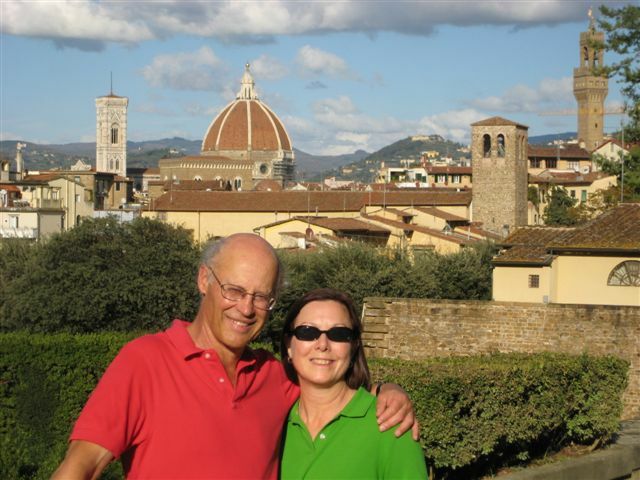 What a lovely recipe…and an inspiring post. I hope you have a beautiful weekend, my friend. Blessings and joy from Austin.